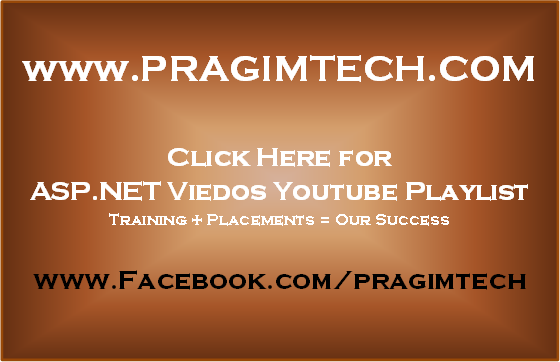 An Application Pool can contain one or more web applications. 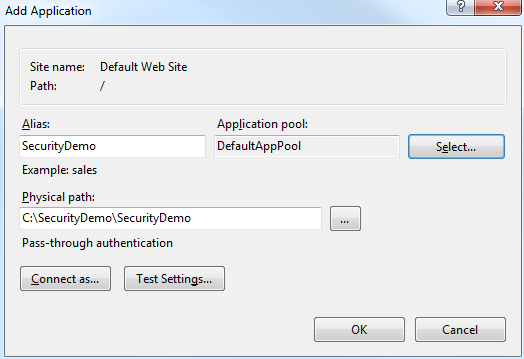 In IIS it is possible to create one or more application pools. Applications in different application pools, runs in its own worker process(w3wp.exe). 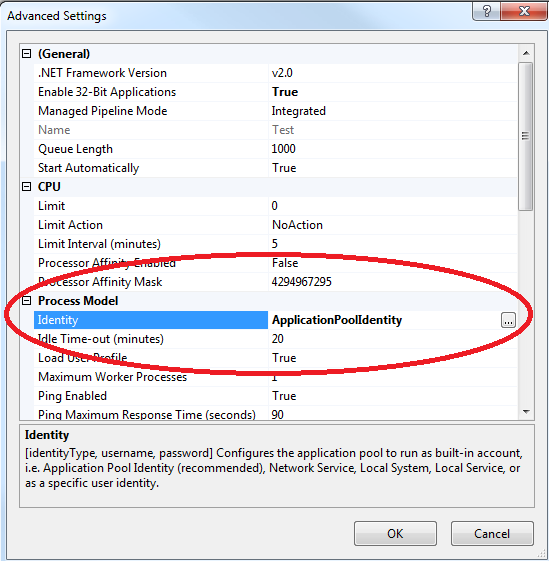 Errors in one application pool will not affect the applications running in other application pools. For example, if an application pool is recycled, only the applications in that pool are affected(may loose state information if stored inside worker process), and applications in other application pools are unaffected. Deploying applications to different application pools enables us to achieve the degree of application isolation that we need, in terms of availability and security. For example, applications that require high security can be present in one application pool, and the other applications can be in a different application pool. Another example, hosting providers can place competing business applications in different application pools, so that they do not accidentally access the data belonging to their competitor. 2. Type "RUN" and press "ENTER"
3. In the "RUN" window, type "INETMGR"
5. In the IIS Manager window, expand the root node and right click on "Application Pools" and select "Add Application Pool"
6. Provide the "Name" for Application pool and click OK. In addition to these built-in accounts, we can also use a custom account, by specifying the username and password. 1. Right click on the application pool and select "Advanced Settings"
3. From the "Application Pool Identity" window, select one of the built-in accounts or enter the user and password, if you choose to use a custom account. Local System : Completely trusted account and has very high privileges and can also access network resources. Network Service : Restricted or limited service account that is generally used to run, standard least-privileged services. This account has less privileges than Local System account. This account can access network resources. Local Service : Restricted or limited service account that is very similar to Network Service and meant to run standard least-privileged services. This account cannot access network resources. ApplicationPoolIdentity : When a new Application Pool is created, IIS creates a virtual account with the name of the new Application Pool and run the Application Pool's worker processes under this account. This is also a least previlaged account. Running an application using a low-privileged account is a good security practice, because, if there is a bug, that cannot be used by a malicious user to hack into your application or your system. 5. Right click on "Default Web Site" and select "Add Application"
8. To associate the application pool, click the "Select" button next to "Application pool" text box, and select the application pool from the drop down list. I have one problem to create application pools that is virtual directory is created in asp.net page and also run the virtual directory path but iis window not show my virtual directory name.please say solution of my problem.